The deep blue of the sea, the costline tinged with gold and silver, the pink veined sunsets, the soft colours of the typical houses looming on the horizon. 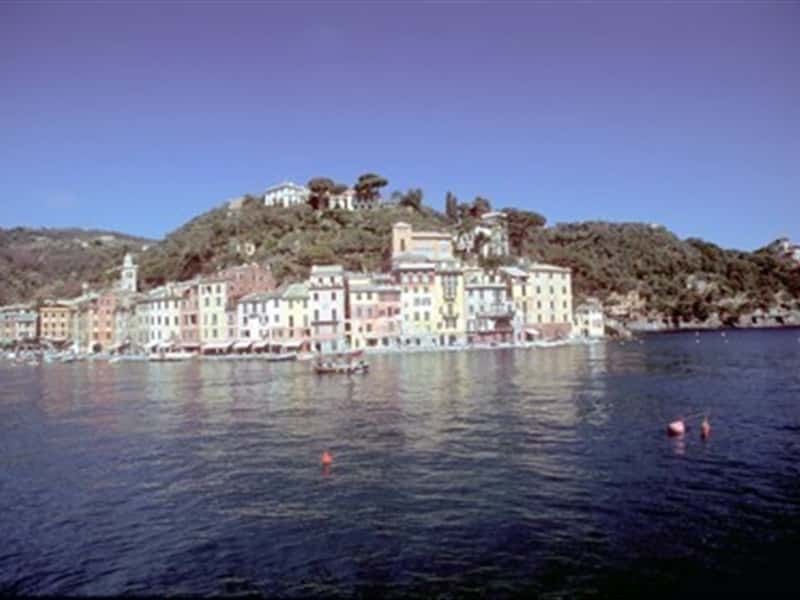 But also the hospitality, the warm welcome and the human kindness that you can find in the "piazzetta" at Portofino or in the little harbours of Santa Margherita Ligure and Sestri Levante. Genoese cooking, like that of Liguria in general, makes great use of basil, extra-virgin olive oil and the many varieties of cheese and dairy products offered by the Valleys. The Genoese are certainly not without a good dose of culinary imagination, which gives rise to an enormous variety of dishes: the Trofie al Pesto, which were eaten in Genoa as early as the thirteenth century; the Parsoti, herb ravioli with a typical triangular shape; Cima, a tasty dish born from the art of re-using leftover food; Bagnum, the stew that fishermen used to prepare on board their fishing vessels, garnishing it with herbs and dried biscuits brought from home; the Cappon Magro, a salad made with vegetables and fish that has been served as an antipasto on New Year Eve for over half a century; the old-fashioned Fugassa; the Farinata, made from chickpea flour; the Buridda, a fish-based dish of oriental origin. Then there are the Torta Pasqualina, the Pandolce, the typical Ligurian Christmas cake. A range of flavours and colours that are met and matched by the rich variety of wines, both red and white, offered by the lands around the Lanterna. Particularly worthy of note are those of the Polcèvera Valley and the Gulf of Tigullio. This destination web page has been visited 107,818 times.